This was our nub, our foundation. You, my fellow writers (for I am one of you now) will be familiar with that quest for the Holy Grail: the insurmountably brilliant concept. One which blows minds until they dribble out of nostrils and into the little hole in the middle of our bagels, where they will eventually become bespoke candles. We had our quest(ion). To answer the essence of R-Patz. We pooled our waxy thoughts together and turned it into a replica of the man. Research of the highest calibre was clearly needed, with so much hearsay and telltale tittle tattle lickspittling its merry way across our sensual organs. Then we got bored and made it up. There are some pictures too. 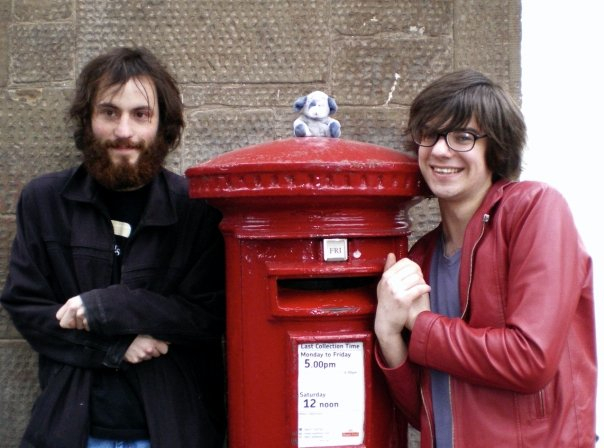 We drew them on a Wednesday and then tried to create a new kind of chocolate bar by shoving a Twix into a Bounty. It’s a heady cocktail of emotions, creation. No wonder there are so many religions. Anyway, we figured that it might be a good idea to release it near Christmas where all the other half-baked comedy projects go, so people could buy it for unlucky Twilight fans, or confused David Cronenburg nerds could read up on their hero’s latest muse. Basically, our plan is to capitalise on the unfortunate misunderstandings of wealthy Kindle owners. So yeah. Fun for all the family. Except children. And of course Robert Pattinson, for whom all this might be quite upsetting and bewildering – but definitely not worth suing anyone over. 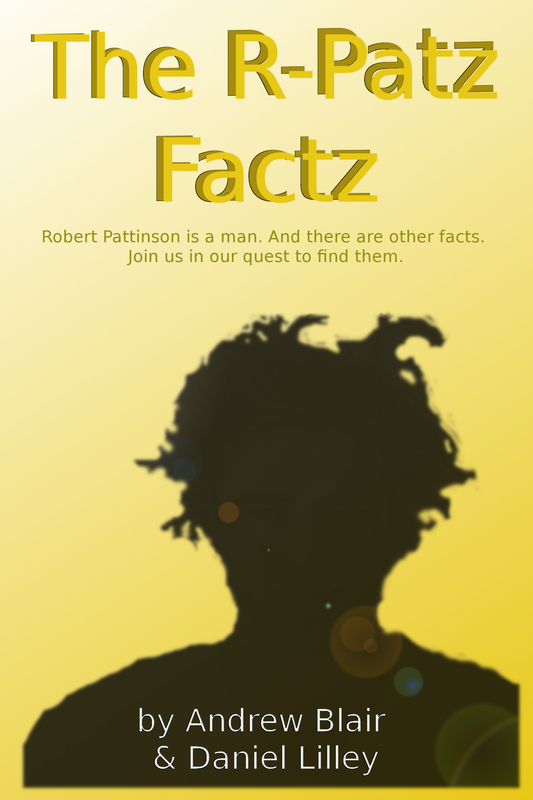 The R-Patz Factz is released as an eBook on October 18th 2012. To keep up to date with new developments, you can like it on Facebook. To find out more about Andrew and his various projects, follow him on Twitter @aagb1884 or check out his website and blog. Co-author Daniel is not readily available on these outlets, but can be found wandering the streets of London town looking for apples most days.